I was born in the USA, I grew up in Ecuador with Colombian roots. Through my grandmother I started to develop my relationship with plants which has been the key to know that I wants to dedicate my life to the work with the teacher plants. In 1997, at the young age of 13, I started in martial arts training myself in Taekwando. There I discovered the world of Asian philosophy which captivated me. A few years later I became a student of Japanese Traditional Jiu Jitsu. In 2001, when I was 17 years old, my Jiu Jitsu master gave me the blessing of Reiki and I became a Reiki Therapist. In the same year I went into the study of the human body, increasing my knowlegde with chiropractic courses. At that point I began my vocation as a healer. Finally, in 2002, I met Master Ricardo Tay Lee who taught me the sacred path of Kung Fu. Master Tay Lee instructed me for 8 years in the Chinese arts of BODY, MIND and SPIRIT through the daily and rigorous practice of Kung Fu and Taoist meditation. In 2004, at the same time as I began the studies as a doctor in medical school, I was introduced to the knowledge of power plants. In that moment when I met the sacred circle of ancestral medicine, the fire, the teacher plants, the mother earth medicines, I knew I had returned home. I decided to take the commitment to devote my life to the path of the ancestral medicines teachings (Shamanic Medicine) keeping alive this powerful tradition that ancestral civilizations have been transmitting from generation to generation. 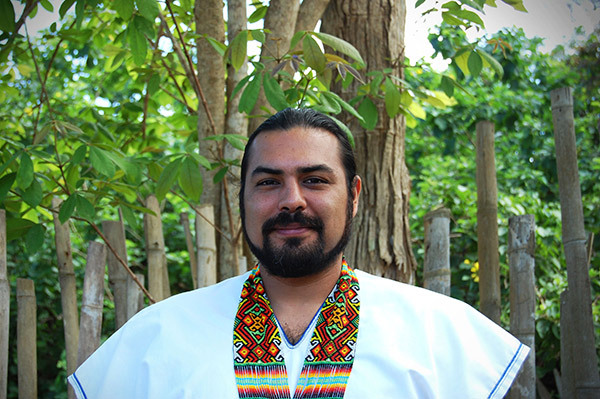 I have 13 years of experience with the teacher plant´s knowledge of San Pedro (Aguacoya) and Yajé (Ayahuasca), receiving generous teachings from teachers of the community Shuar, Cofan and Siona in the Ecuadorian and Colombian jungle, who have become part of my family. I was born with the intuitive ability to feel others. This allows me to develop dynamic treatments, adapting it in a unique way to each patient. I dedicates my life to the study of physical, mental and spiritual healing. Aside from being an Ancestral Medicine Man and a General Doctor of Western Medicine, I provides Reiki treatments, different techniques of Chinese Medicine and Emotional Therapy. I developed my own Therapy named CET® (Comprehensive Emotional Therapy) where I combines all the branches of medicine I had developed. I am also a musician and work with Lakota Flute, which I uses in music therapies, taking the patient into a meditation towards an inner journey. I believe in the integration of medicines and I feel that this allows me, as a healer, to expand my field of vision. Being able to treat the same ailments or illnesses in my patients from several points. That makes me achieve fast and effective results, which betters the quality of life and brings health and wellbeing.